It's quiet surprised for everyone to know that Khloe Kardashian have defended her cheater ex boyfriend Tristan Thompson about his father role towards their daughter True in a twitter note. 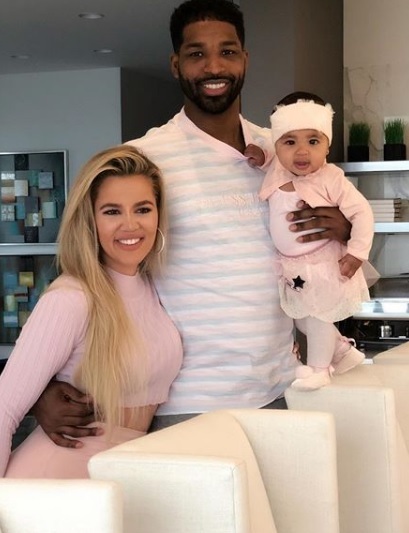 'Good America' ambassador Kardashain star Khloe Kardashian, 34 has made some positive statement about her ex boyfriend NBA player Tristan Thompson, 28 's parenting role and defends in a twitter note of him being a good father to their daughter True Thompson, 1. Khloe is really cool mom as she is putting her daughter True's need first with the need of both father as well although her and True's father relationship is no more good and wishes to never put her daughter in middle of both of them. Tristan had previously cheated on Khloe during her pregnancy which she forgave after she gave birth but their relationship went real sour when Tristan yet again cheated Khloe with Kylie Jenner's bestie Jordyn Woods.